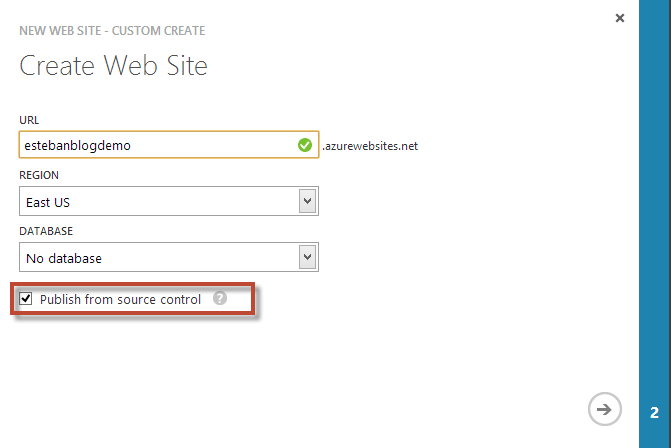 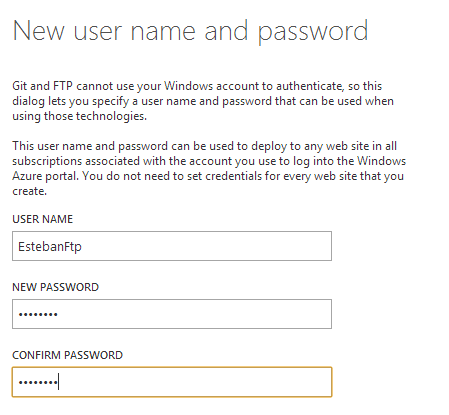 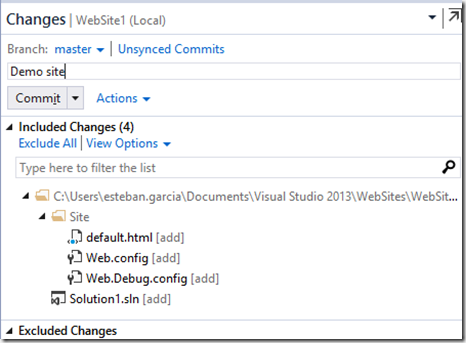 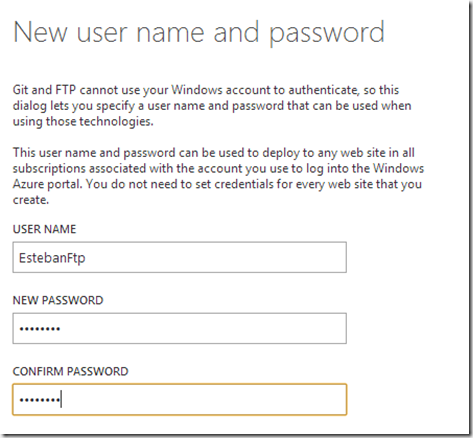 Go to your Azure Portal, then click on the Websites, then click on New and select “Custom Create”. 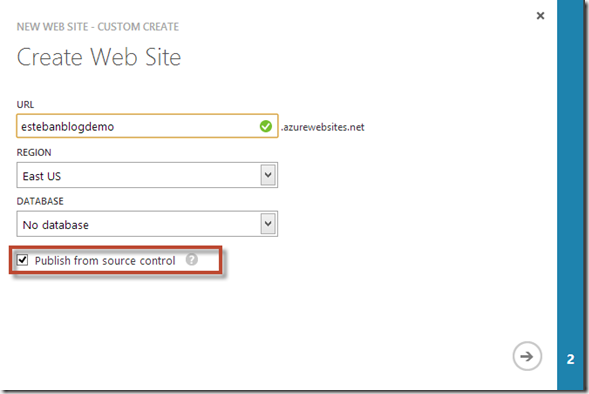 This will allow you to configure a database (if any) and specify your deployment source. 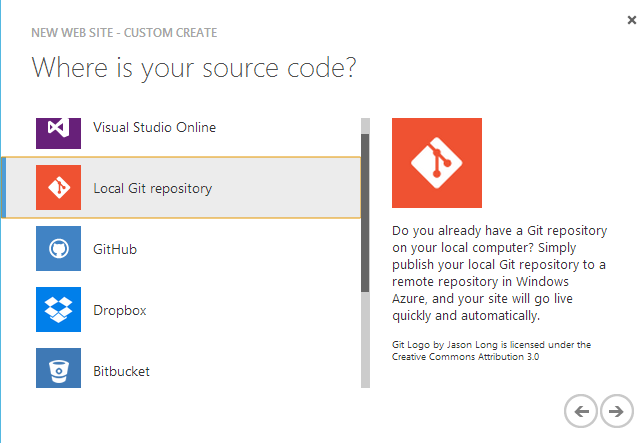 As of this moment, the list of sources is: Visual Studio Online, Local Git repository, GitHub, Dropbox, Bitbucket, CodePlex, or any externally accessible Git or Mercurial repository. 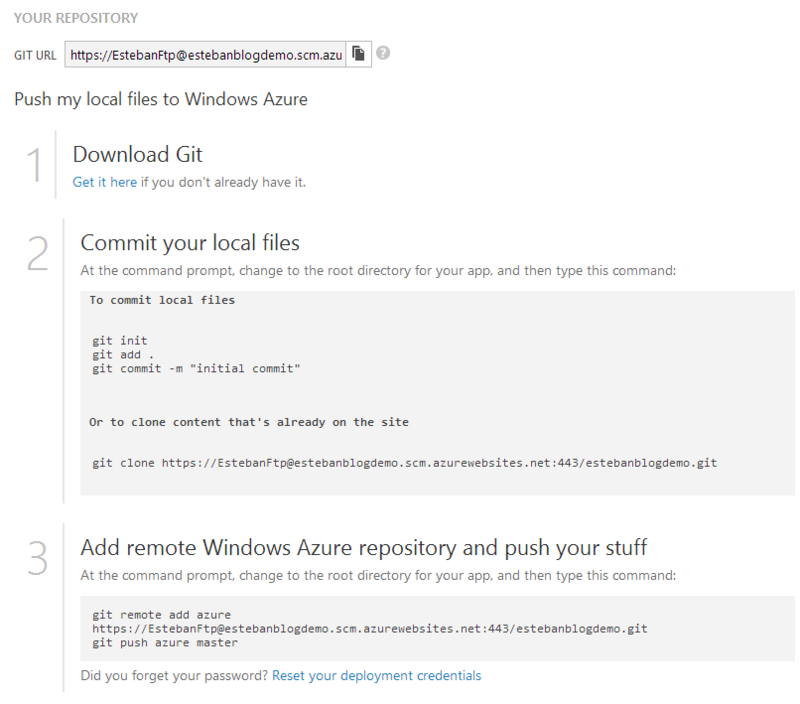 Now time to create a website and deploy to Azure. 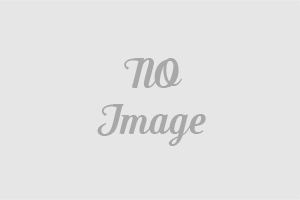 And here is awesome new site! 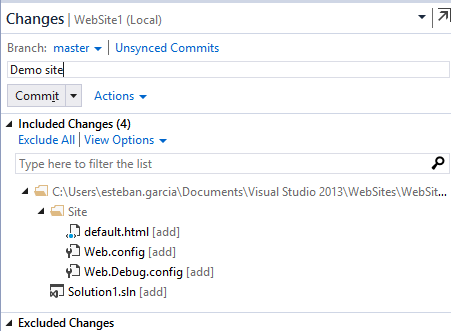 Now every time I push to my remote repo, my site will get automatically deployed! 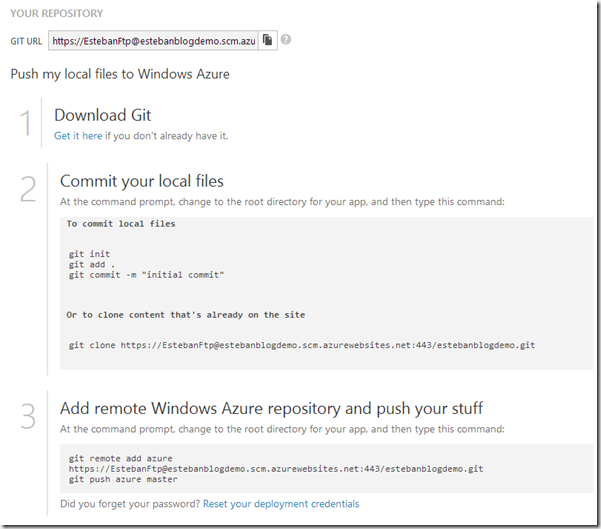 Interested in learning more about Git? 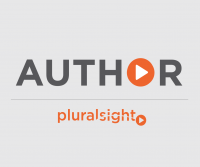 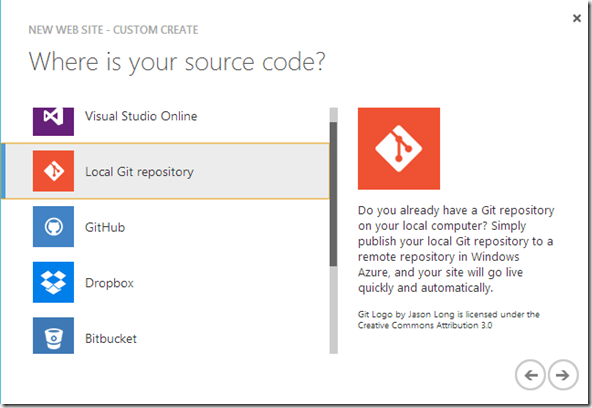 Check out my new Pluralsight course on Git for Visual Studio Developers!